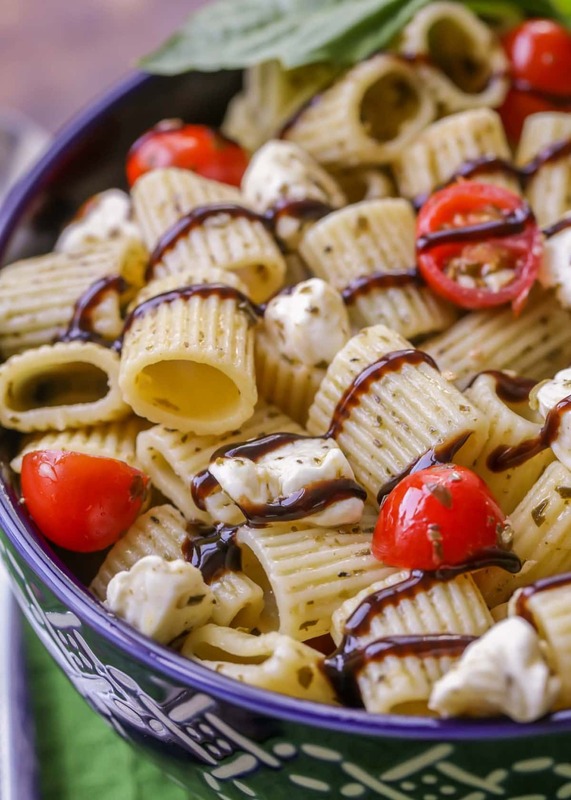 This Caprese Pesto Pasta Salad is covered in basil and filled with mozzarella balls, tomatoes, basil and balsamic vinaigrette reduction sauce! 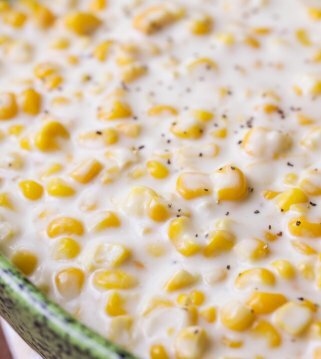 It’s a light dish with a bold flavor, making it perfect for potlucks, parties, BBQ’s, and get togethers! 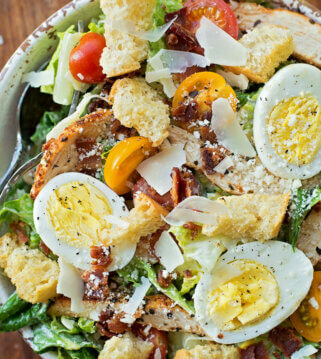 We love all the recipes associated with summer time, and one of those is PASTA SALADS!! We find ourselves making a pasta salad at least once a week with all the pool parties, BBQ’s, and family gatherings going on. Over the years, we have relied on our classic pasta salad recipe, but lately we have branched out and tried new recipes. Some of our favorites include this Greek Pasta Salad and this Buffalo Chicken Pasta Salad. We also have a new favorite – this Pesto Pasta Salad! 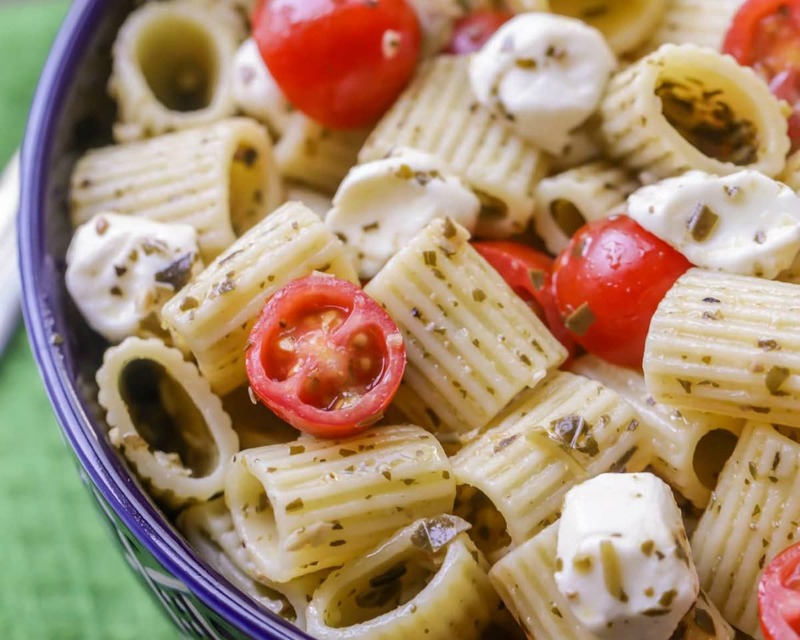 We have always enjoyed the Caprese flavors of tomatoes, basil, mozzarella and balsamic vinaigrette, but when you add pesto to the mix, you get one of the most flavorful pasta salads you will ever try!! Simply begin by cooking up your favorite pasta. We used rotini, but any pasta will do. Mix pesto, olive oil, and seasonings. Add cooked pasta and mix. Fold in the remaining ingredients with the pasta, and add the balsamic reduction on top right before serving, and ENJOY! 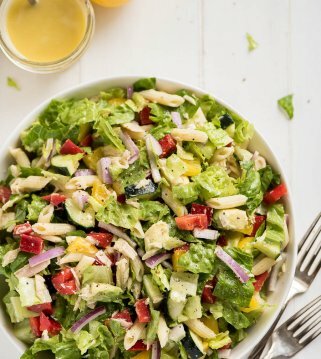 If you’re not a fan of balsamic vinaigrette, you can definitely have it without! It adds a nice burst of flavor, but the pesto and other seasonings make it plenty flavorful on their own. Great taste isn’t the only thing this pasta has going for it – it comes together SO quickly, and honestly the most difficult part is cooking the pasta. 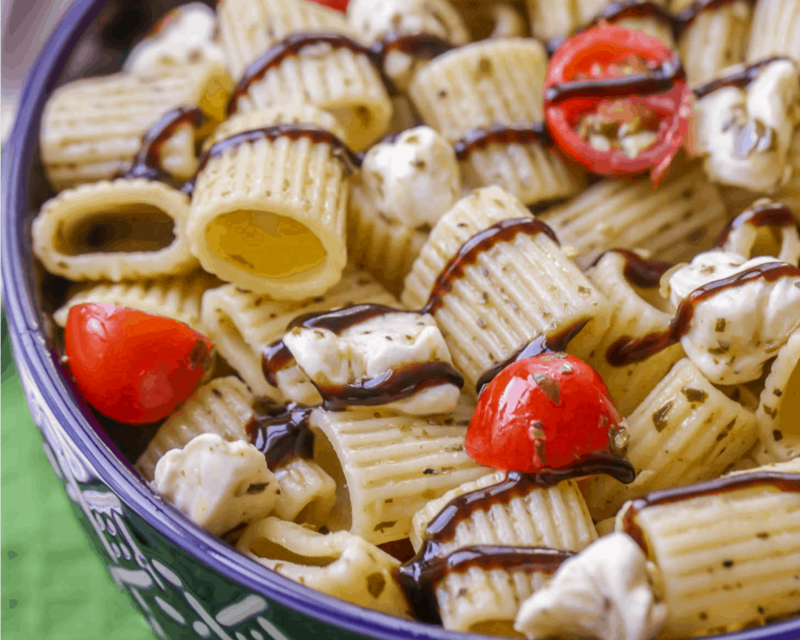 Next time you’re in charge of a salad dish for your neighborhood potluck, give this Pesto Caprese Pasta Salad a try! 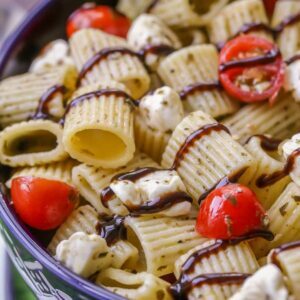 This Caprese Pesto Pasta Salad Is Covered In Basil And Filled With Mozzarella Balls, Tomatoes, Basil And Balsamic Vinaigrette Reduction Sauce! 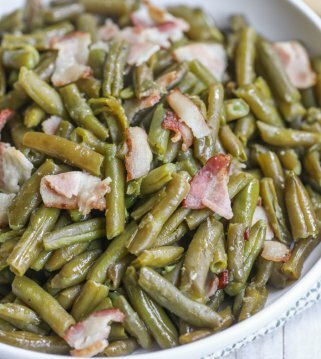 It's A Light Dish With A Bold Flavor, Making It Perfect For Potlucks, Parties, BBQ's, And Get Togethers! Boil water in a large pot and cook rotini according to box directions. In a large bowl, mix pesto, olive oil, salt, garlic powder and pepper. Add cooked rotini and toss to coat. Add tomato halves, mozzarella balls and fresh basil. Refrigerate until ready to serve. Drizzle with balsamic vinaigrette reduction right before serving. ENJOY! Tri-color pasta is such a simple addition that transforms the meal. Nice recipe! It’s 12 ounces, which is a box of rotini. It comes in 16 or 12 ounces & you could totally use more, this is just a suggestion. If you add more pasta, you may want to add a little more of the other ingredients, but totally up to you 🙂 Hope that helps! 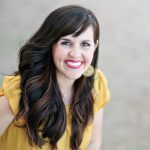 I love the simplicity of your recipes and look forward to good eatin’ in the weeks ahead! Thank you!! 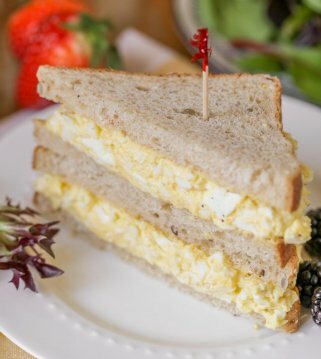 I love quick & easy recipes 🙂 Let me know what you think of the ones you try!